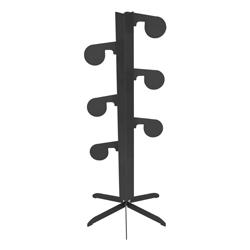 The Fixed Turning Target Stand (FTTS) is an ideal system for tactical training and shoot/no shoot scenarios. The electric version features full 360 degree target rotation as well as quiet functionality, making it difficult for shooters to anticipate when the target will turn. The FTTS is also available in a heated pneumatic version which uses air and low voltage power to turn the targets 90 degrees. 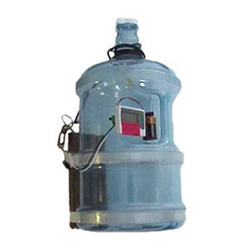 Both the electric and heated pneumatic versions may be used in the harshest conditions, including sub-zero temperatures. The Fixed Lateral 360 (FL360) target system allows targets to be repositioned laterally along a fixed rail without the use of tools. Simply unlock the target and it will slide left and right for positioning in groups or creating open spaces on the range. 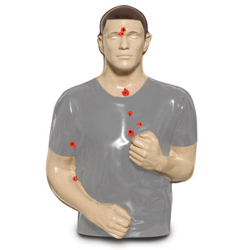 Used in conjunction with the Dual Running Man target system, these targets can represent bystanders or perpetrators to simulate real-world scenarios. The D-TaPS turns 180 degrees to present each side of a target for teaching threat/no-threat identification. Targets present themselves in two-tenths of a second. This means that trainees are not able to anticipate the target face which will be presented. Each unit can be independently controlled for tactical multiple-threat scenarios or single threat-in-a-crowd training. Placing trainees in an environment where threats have to be identified before they are engaged increases reaction time and decreases accidents in the field. The Universal-90 features multiple movements including turning, swinging, lifting, and flanking, using a single heavy duty actuator. With a few simple adjustments you are able to transition between motions. 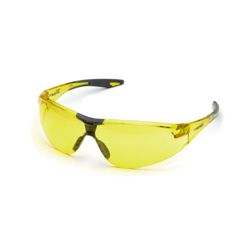 Its versatility makes it an ideal addition to any decision making training configuration. 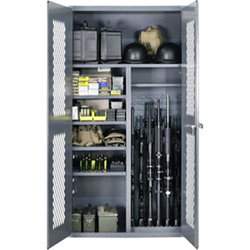 The Universal-90 may be installed behind a line of fire, behind a tactical ceiling baffle, or on a free-standing portable base. The Tandem-90 system utilizes one actuator to turn up to 10 connected targets simultaneously. The actuator is powerful enough to turn heavy foam and plastic targets. The target frame incorporates wood supports making it ideal for use with running man targets. The armored drive unit and slave actuators protect the mechanisms from bullet strikes. The Deluxe-90 is a pneumatic turning target actuator that rotates corrugated cardboard and plastic targets backers. Targets are rotate in just two-tenths of a second giving trainers the ability to accurately begin and end qualification and timed drills. The Deluxe-90 is so efficient that it is used as the official target system for the Midway USA and NRA Bianchi Cup Barricade and Practical shooting events. The Power-90 actuator turns a target from edge to face and back again. Its robust actuator turns heavier plastic targets and foam backers as well as paper and cardboard targets. The Power-90 is ideal for use with running man targets because it uses wood supports instead of metal C-rods to keep targets upright. The Power-90 system can be controlled by Air Command wireless control, an electric thumb switch, or integrated into range control software.